Our best selling mascara. Now 9ml instead of 4.5ml and with no price increase. The ultimate antidote to tired-looking eyes, this naturally volumizing and lengthening formula nourishes lashes for a healthy, full fringe. Moisturizing extracts of organic jojoba and wild rose oils deeply hydrate, promoting all-day flake-free volume. 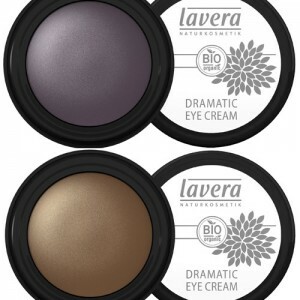 Lavera’s mascara gives your eyes expressiveness and makes them sparkle. The volumising brush brings your eyelashes to life. Re-packaged in 2016 from the original silver tube (4.5ml) to the new black tube 9ml). This is the first time I tried organic mascara (without harmful ingredients) and after careful consideration decided to go for a cheaper one in case I don't like it. That was a good decision. This is easily the worst mascara I have ever tried. The formula is too runny, so when you apply it, it takes a long time to dry, and in the meantime every time you blink, mascara transfers from your lashes onto the neighboring skin (eye lids, under eyebrows, under eyes). It takes minimum 3 coats to actually see any effect (my lashes are naturally dark, so maybe that is why) and the final finish is not good. 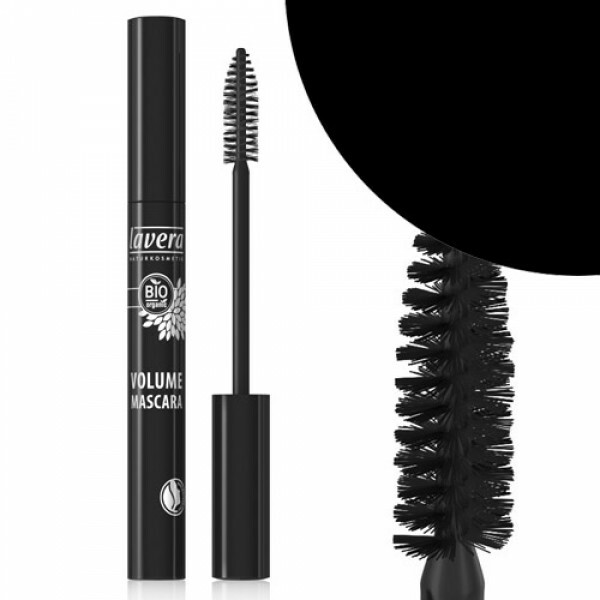 It adds a bit of volume, but not as much as my previous mascaras, and it does not add any length. I actually prefer to go without mascara than to put this one on. This mascara is wonderful. 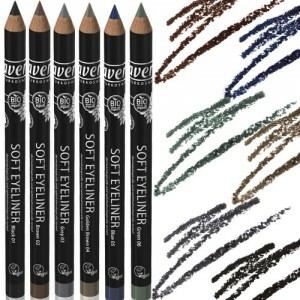 The pigments are really dark, you get a glossy rich colour. 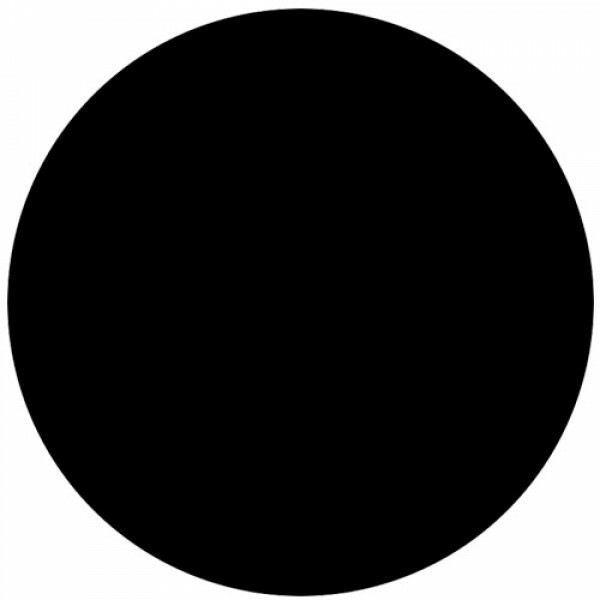 It goes on really easily and isn't thick and gloopy like some of the well known make-up brands which means it doesn't clump. Applying a few coats gives you really bold stand out lashes and it drys quickly. I also love that its got nothing nasty in it so i don't have to worry about what horrible chemicals i'm putting on my face. I've had it on all day and it looks just as good as when i put it on this morning. Happy customer! 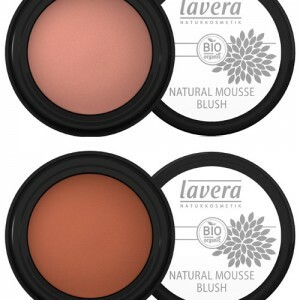 Lavera reserve the right to make changes to ingredients, possibly resulting in variations depending upon the batch. 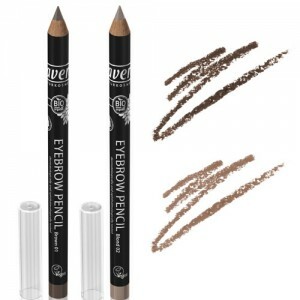 Apply the mascara to the upper and lower eyelashes using the volumising brush. Always stroke from root to tip, holding the wand diagonal to the eye. Allow to dry briefly, then apply a second coat.